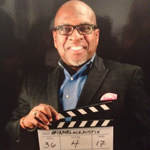 Winston Williams – Women In Jazz Association, Inc.
Winston G. Williams, Co-Founder and Executive Team member of Capital City Black Film Festival, is a graduate of The University of Texas at Austin. He founded PS Focus, LLC, a management and consulting company, in 1997. He is also the owner of 360 Productions of Austin, an event planning company. He is the owner of Silver Box Publishing and is the author of his memoir, Would You? and has conducted memoir writing classes for the City of Austin’s Write On, Austin initiative. Winston has been featured on NPR’s In Black America and Austin’s KAZI morning talk shows. His acting credits include: Matches, lead male; They Lost It, lead male; and Momma’s Own, lead male and NBC’s Revolution as an extra. He is currently working on the sequel to his memoir, pursuing acting and acting as Executive Director of Black Film Collective, a non-profit. Winston is a life member of Texas Exes, member of Alpha Phi Alpha Fraternity Incorporated and Capital City African American Chamber of Commerce, and a graduate of Leadership Austin.